Ziad Jalbout, DDS (New York) - Book Appointment Online! We dedicate ourselves to delivering the highest level of dental care and oral health that empower individuals to achieve healthy and beautiful smiles. While caring for your oral health as well as your teeth we approach your dental needs comprehensively and aesthetically. 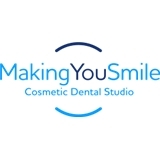 We offer a wide range of treatment covering almost all aspects of dentistry in one place. We refer you out only when necessary and care for all your needs in house. Dr. Jalbout has helped patients achieve the best smile they can have through a comprehensive and multidisciplinary approach to treatment. In particular he helped patients improve their smiles, their confidence, and their oral health by using veneers, aesthetic (non-metallic) restorations, Invisalign, and implants. I am very particular with my teeth. You only get one set unless you want false ones! After 25 yrs, my dentist retired. Since I trusted the hygienist for years, I found out where she went relocated . I am very pleased with Dr. Jalbout Here's to my next 25 years!